Protests in India: Is it the End for Darjeeling Tea? You are here: Home / Protests in India: Is it the End for Darjeeling Tea? The protests happening in India are having repercussions around the world especially for Darjeeling tea. One of those repercussions is being felt by tea drinkers and connoisseurs everywhere. The current unrest in India is affecting this year’s crop of Darjeeling tea in a huge way. Tea drinkers who adore the tea may soon need to consider other options and select a new type of tea to consume as a replacement. Questions are being asked about the confrontations. How will they affect production of this tea? Read on for a full look at the situation. Discover what you should expect in the months and years to come. What’s Going On In India? The short story is that there is currently civil unrest in Northern India. Most notably in the Indian town of Darjeeling. This is having a disastrous affect on the tea industry. 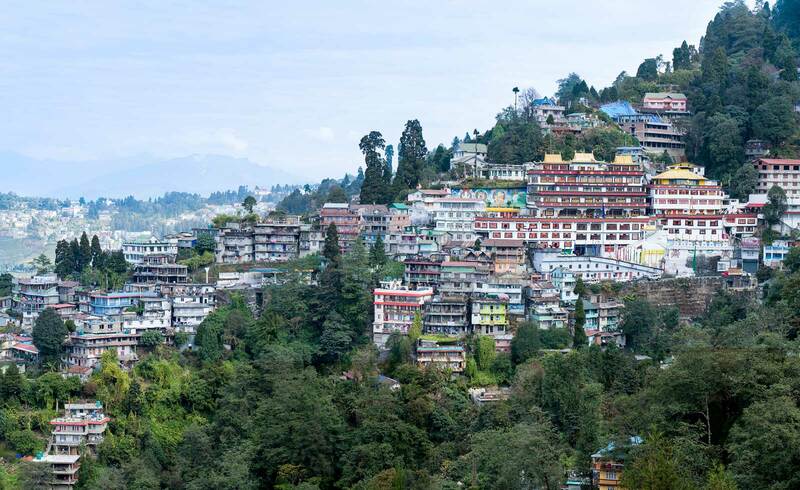 In Darjeeling, a huge portion of the town’s annual revenue comes from Darjeeling tea production. The violent protests and prolonged strikes are occurring because a local party in Darjeeling is campaigning for a separate state for Darjeeling’s Gorkha community, that speaks primarily Nepali. The unrest began in June 2017 after the West Bengal government introduced plans for the compulsory teaching of Bengali in schools. The current political climate In Darjeeling is very serious. Shops have closed and tourist have been advised to leave. The clashes have even resulted in three deaths, and the Indian army has been deployed on the streets of Darjeeling to help manage the situation. This unstable political situation may have catastrophic effects on the town of Darjeeling. Well over 50,000 workers are employed in the Darjeeling tea industry which is being so negatively impacted by the current unrest in the area. In fact, growing and exporting this tea makes up 40% of the yearly revenue in Darjeeling. And, due to the riots and protests, tea pickers are prevented from working during the high season of tea production. First, it’s important to know a little bit about this tea and how it is produced. Tea production is a little different for each kind of tea and the processes for good teas are unique. Tea drinkers prize the second batch of leaves from a Darjeeling tea plant. This is particularly rare because the tea plants only produce new leaves five times per year. The prized second round of leaves occurs during the months of June and July. The political instability is bringing this year’s harvest to a halt. Nearly 22 million pounds of this tea is usually produced in the area each year. This tea is grown in just 87 gardens, further proof of just how valuable it is. Unfortunately, these gardens of famous tea are now becoming overgrown with weeds and suffering from the effects of neglect. Even when production begins again and the plantations re-open, there will be a lot of work needing to be done to get the crops back in acceptable growing condition. Losing out on this very lucrative batch of leaves, the second flush, could be catastrophic for these tea producers. If things do not turn around quickly, they will lose out on millions of dollars. They face losses that they may not ever be able to recover. There is even the risk of Darjeeling tea becoming a limited edition tea. Many tea suppliers around the world may soon run out of stock. Unfortunately, experts predict that this tea will become more scarce. Quality will stay the same or even decrease. Prices will therefore continue to rise due to the lack of supply. Inflated prices for a lesser quality tea will upset customers and have an overall negative effect on the tea industry. All of this and more is why this situation is likely to have such a drastic and disastrous effect on the Darjeeling tea industry. What Makes This Tea So Special, Anyway? It is grown in the town of Darjeeling in India, with some plants as old as 150 years. It is a very traditional crop in this region. The taste of Darjeeling tea is open to a wide variety of interpretations. Some say it has musky and sweet notes. Others claim to taste French grapes and the fresh mountain air of the Himalayas where the tea is grown. It is often compared to wine in elegance and taste and often has very natural flavors. Though the tea is grown in India, the leaves actually originate from China. Yet another reason that this tea has a very unique flavor profile. The taste also changes depending on which round of the crop season it is harvested from. These are called flushes. Clearly, the tea is highly sought after. Of course, this means it is also one of the world’s most expensive teas. It can sell for hundreds of dollars per pound, even nearing one thousand dollars per pound in some cases. Now, as a result of the unrest in the area, the already-high prices may be pushed up by as much as 20%. The tea will become even more rare and expensive. A reduced supply of the famous tea plus a huge price hike does not bode well for the industry in the near future. It will be interesting to keep tabs on how the situation in India pans out and how this will affect tea trends in the coming years. Tea traders will doubtless be looking at other tea producing areas to satisfy demand for our favourite brew. Share your thoughts with us below on the Darjeeling tea situation and, if you are a drinker of this tea, what do you plan to do about the possible upcoming shortage of this fine tea. The World Tea Directory backs all moves to maintain production of Darjeeling tea. We also feel for all those that are suffering in that area. It is unthinkable that one of the greatest treasures for tea lovers should become unavailable.